Aromatherapy is the use of plant oils known as essential oils offers many health and beauty benefits. Not only does it smell good, but can benefit you in many ways. Some aromatherapy benefits that are more commonly known include: Relaxation and stress relief, mood enhancement, balance and well being, relief of minor discomforts and helps boot the immune, respiratory and circulatory systems and much more! 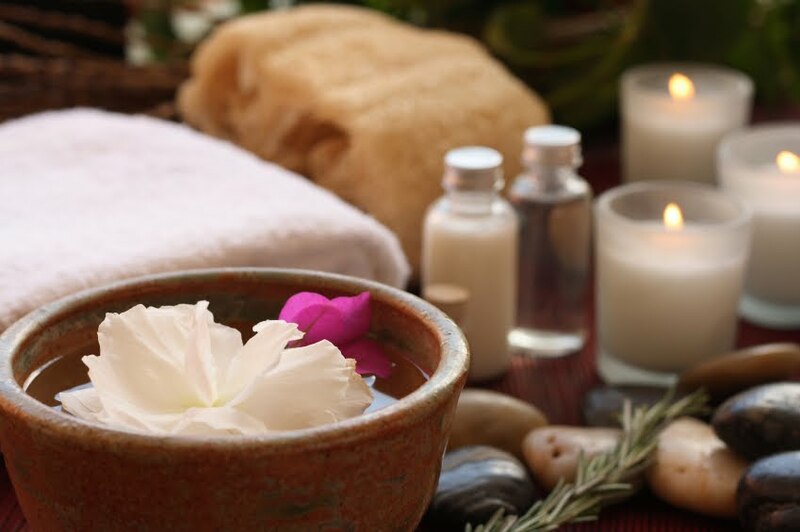 When using 100% natural essential oils , the soothing combination of beautiful aromas, massage, aromatic baths and other treatments all work to regulate, balance, heal and maintain your well being by working with nature. Here are some ways to use aromatherapy and essential oils for natural health and beauty. * To enjoy a scented candle, place 1-2 drops of your favorite scented oil onto the hot melted wax as the candle burns. * For tired aching muscles or arthritis aches, mix 1 part Cajeput, Sage, and Basil oil to 4 parts Jojoba or other vegetable oil and use as a massage oil. * Ease headache pain by rubbing a drop of Rosemary/Lavender oil onto the back of your neck. * To make your own massage oil, add 3-5 drops of your favorite essential oil to 1 oz. Jojoba or other skin-nourishing vegetable oil. * For cuts, scraps and scratches, apply true Lavender oil and Tea tree oil directly on cuts, scrapes, or scratches. 1 or 2 drops will promote healing. * For burns or scalds, drop Tea Tree or Lavender oil directly onto the affected area. * For upset stomach, place 1 drop of Peppermint oil in 1/2 glass of water, sip slowly to aid digestion and relieve upset stomach. * To relieve headaches, add 1 drop Peppermint oil diluted in 1 teaspoon vegetable oil rubbed on the back of the neck. * Create your own personal perfume by using 25 drops to 1 oz of perfume alcohol. Let age two weeks before using. * For a radiant glow, apply 1 drop of argan oil to your face. * For shiny, silky hair, apply 3-4 drops of argan oil. I love putting on candles, scented or otherwise, to unwind. I dim the lights, put on some candles and/or some New Age mood music, and enjoy some intense aromatherapy. It always works after a long day!